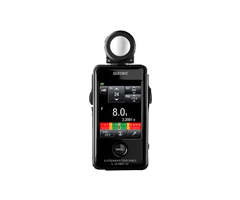 Sekonic makes the incident metering for ambient and flash light super simple. It's features includes a contrast function for comparing brightness, a memory mode for 8 readings and luminescence measurement. This can control flash's power in 0.1-step increments.